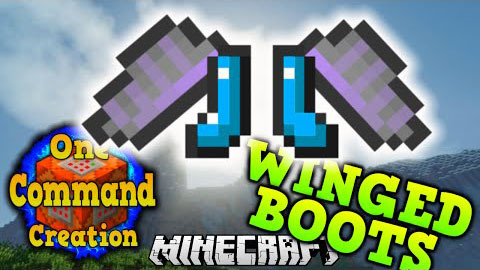 Winged Boots Command Block allows you to craft Winged Boots, which act just like an elytra. But now you can wear a chestplate and glide at the same time, and before this you couldn’t. Whenever you’re in combat, you’ll never need to worry again about switching between armor and wings.